This my brother. 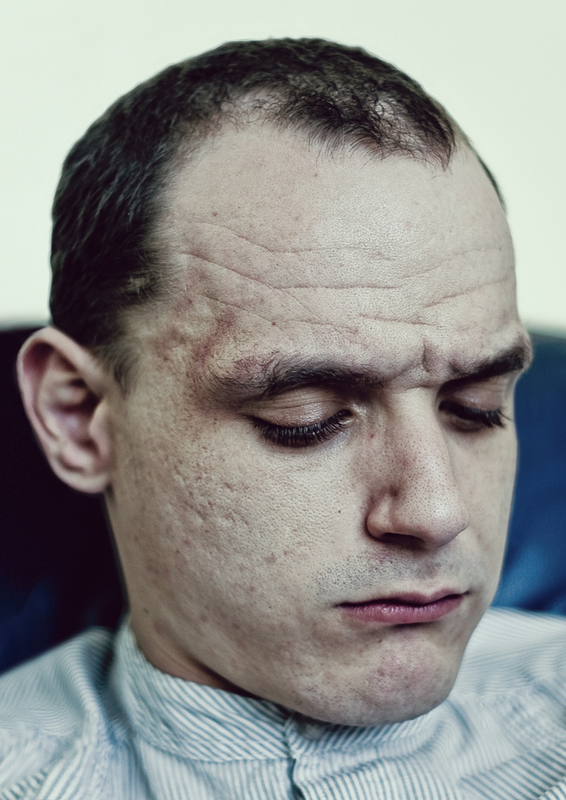 He has severe autism and lives in a care home for autistic adults. Yesterday we went to see him on our own (without our parents) for the first time in order to establish an independent relationship with him. Change is very difficult for him but he coped quite well. He was fairly subdued and spent a lot of time staring at a cut on him thumb (what he's doing in the picture). Although this portrait is fairly unflattering, I like its honesty and it captured his mood well.